an ugly win, is still a WIN! Happy sailing and no barking, except for me. How bout those bumble bee uniforms? Any win in Pittsburgh is a big win. I don't care who's playing, who's out, or how ugly the uniforms are. Go Ravens! A weak 8-2? What, you won't respect them until they are 10-0 and only then if they are a strong 10-0? Sure, they could be playing better, there's always room for improvement, but I'll take an 8-2 record any time. How far will they go? Into the playoffs for the fifth straight time, the sixth time in seven years, the ninth time in thirteen years, and farther than the teams that don't have an 8-2 record. That will be ok with me. Flacco is a lights out qb right now on the road. 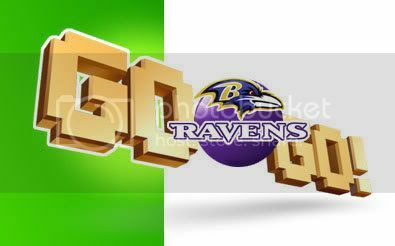 Enjoy the moment as San Diego will embarass the Raven defense this week, and Flacco will drop his typical road turd. Play calling by the Ravens is stellar with not giving Rice the ball 20-25 times a game. "Is it still considered recycling if I collect batteries to throw at clowns?" Sure, they may lose Sunday, pretty sure 50% of the teams will, but I'll be betting on the Ravens. The Ravens this season are 3-2 on the road including winning their last two road games. 5-0 would definitely be better and they definitely don't play as well on the road, but "typical road turd?" Rushing could be better, most of the stats could be better, but they do win games. Definitely not a fan of first-down-Ray-Rice-runs no matter what the Baltimore Sun says. Play calling needs to be better, Cameron probably needs to go, but they do win games. Absolutely agree with that. It's great that they get into the playoffs and they appear to be heading that way again this year. However, this will be the sixth time in seven years that they made it into the playoffs and it's time they do something different and take advantage of it. And yes, the Ravens performance on the road, especially for all-or-nothing playoff games, is much less than desirable. And here we have a winner!